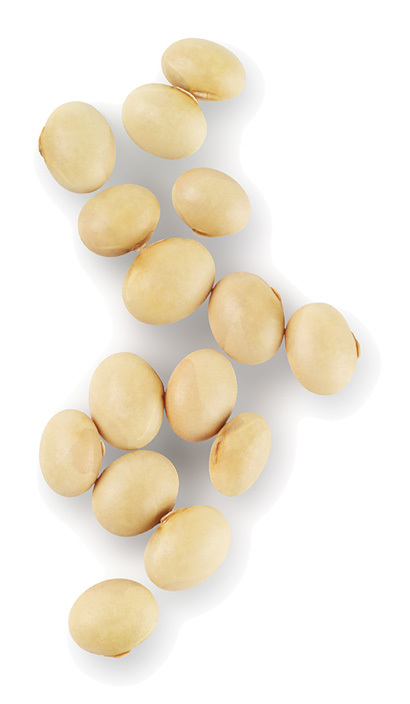 Soybeans will go through a three-stage process where soybean meal, soy protein concentrate (SPC), soy oil, soy lecithin and soy molasses will be extracted. Before these process steps, soy hulls are separated from the bean. In the pre-treatment, foreign matter is sieved out, and the beans are heated and dried. This heat treatment helps remove the hulls from the surface of the beans. The beans are cut in six pieces between corrugated steel rolls, after which the hulls disintegrate from the crushed beans. The lighter hulls are separated by gravity using air flow and will be blown to a silo. The cut beans are squeezed in between the rolls of the flaking mill, which presses them to flakes. The mill’s aim is to make large, thin flakes in order to reduce the extraction time. Nordic Soya has two separate extraction processes. In the first phase, oil is extracted from the soy flakes with hexane solvent to produce the soybean meal. In the second phase, soybean meal serves as raw material to produce soy protein concentrate (SPC) by using ethanol solvent to extract saccharose, oligosaccharides and anti-nutritional factors from the meal.